At our AGM on 25 July 2015, Noel / ZS1FW put out a request that CTARC members meet at 10h00 on the following Saturday, 1 August 2015, at the CTARC clubhouse in Rondebosch, for an antenna work party. There is a fair amount of maintenance work to be done. We had an annual lunch at the Kelvin Grove in Rondebosch, Cape Town. 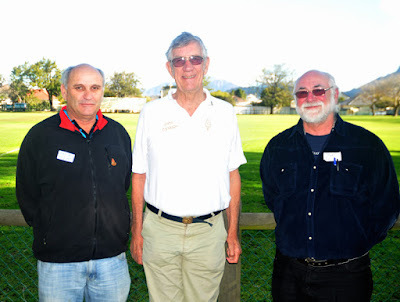 Between the three of us we have just on 200 years of unbroken membership of the SARL and also The Cape Town Branch / CTARC. John / ZS1PM (80 yrs old ) & Dennis / ZS1AU (86+ yrs old) are still keeping fairly well, but Tippy / ZS1CL (82 yrs old) is very ill at this time & I notice his membership has now (as of July 2015) lapsed. 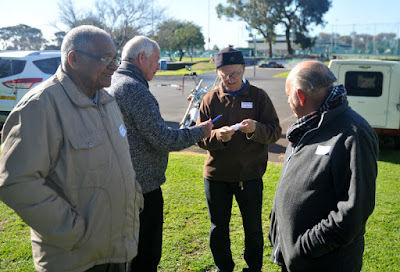 John & Dennis served on CT committees from 1947 & Tippy & Dennis were SARL Councillors in Cape Town, while John moved to ZS6 for a number of years and returned to Cape Town about ten years ago. Tippy / ZS1CL (67 years) and Dennis / ZS1AU (68 years). 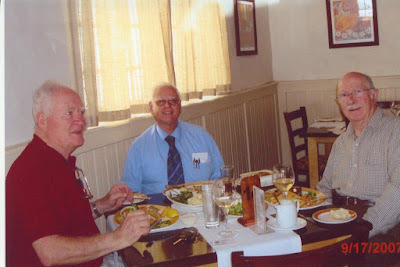 Photo taken at a luncheon at the Kelvin Grove several years ago. This past year has certainly been an eventful one for the CTARC. We started off the year with Paul / ZS1S and Nick / ZS1ZD joining us on the committee. During the year we have had quite a few interesting talks at the club house including Dennis / ZS1AU on propagation, Paul / ZS1S on Trista da Cunah, Colin / ZS1RS on fox hunting, Mike / VK2UCTY on hamming in Australia, Nick / ZS1ZD on batteries, and our SARL representative Johann Marais / ZS1JM discussing our questions about the SARL Headquarters building, to name a few of our regular meeting events. 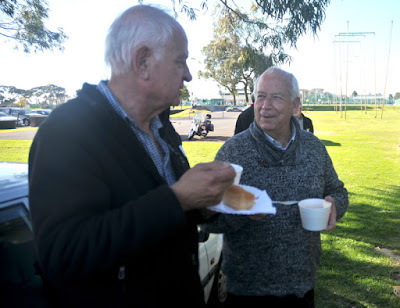 We have had our usual bumper flea market in March, a visit to the Observatory, a very successful Lighthouse operation, a club house work party and the always popular end of year function. Incidentally, our Green Point Lighthouse use on 15 / 16 August has been confirmed by Transnet. They are charging us a small user fee for their facilities this year which the club will pay next week. 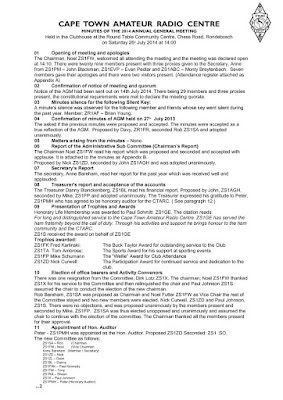 Anne has informed me we have 31 paid up Members as of yesterday 24th July when this report was written. As of yesterday there were 34 still to pay their 2015 / 16 Subs. If you have not paid your subs yet please see Anne or Danny. We have also had 11 new members join us last year. New members are most welcomed and having new members join us gives your committee the feeling that things are going well with our club. This year we sadly said goodbye to some of our members who passed away. 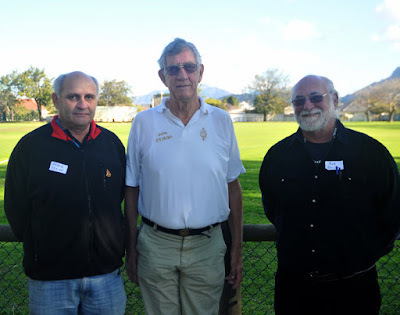 Alan / ZS1AAX, Harold / ZS1VW and Paul / ZS1GE. The saga of the narrow banding issue continues and your committee is doing what it can to maintain our 145.750 repeater on wide band. Dave Perry / ZS1SG remains the sole person who can access that site and if it were not for this fact our 145.750 would have been converted to narrow band also. I have been told that the WCRWG has set some of the repeater receivers on wide band and the transmitters on narrow band without any discussion with the either ourselves or the Oakdale club. As you can appreciate, at this point any donations that we have for repeater support are now being made available only for our 145.750 repeater and we will continue with this policy until the WCRWG once again consults and takes recommendations from the two largest clubs and supporters in the area. We have recently purchased batteries for power back up for our 145.750 repeater which Dave has installed. We feel these funds were well spent in light of the load shedding taking place and will ensure our repeater has power to run when Eskom performs it’s load shedding in that area. On a lighter note, Barry / ZS1FJ has agreed to finance a remotely controlled HF station at the club house. You committee is gathering information on what hardware will be required and the best way to get an internet link into the club house. I have no doubt that once this system is up and running we will see many of our members making use of the system and new members joining the club in order to use it from their home QTHs. Shaun /ZS1RA has undertaken to head up this interesting project. Our finances are still healthy and Danny / ZS1BL keeps excellent watch over them and our expenditures to ensure they stay that way, thank you Danny. Also a big thank you to Anne, our secretary, caterer and Ragchew editor and of courses my dear wife, for all she does for the club. Anne keeps us all on our toes and ensures the club runs smoothly. Deon / ZS1ZL started on the committee at the beginning of the year but due to unexpected work and home commitments he has been unable to attend committee meetings and most other club functions. We thank Deon for the things he was able to assist us with before his work and family commitments prevented him from doing so. Paul / ZS1S keeps a watchful eye over the goings on at the WCRWG meetings and advises the committee accordingly. 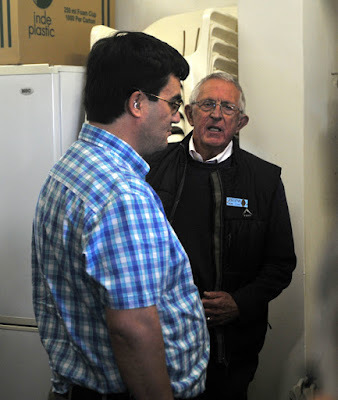 Nick / ZS1ZD ably runs our website and keeps the CTARC BlogSpot up to date with many interesting articles and reports. Paul / ZS1PXK ensures there are tea and snacks for us at our meetings and also assists with our major events such as the flea market and lighthouse events. Tony / ZS1TM, our bulletin coordinator ensures the Sunday bulletin is read out each week and schedules the readers. 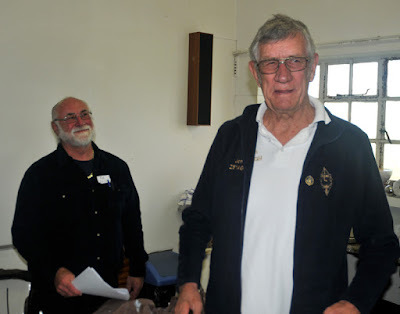 Noel / ZS1FW as our chairman of vice and my mentor during my first year as chairman has been instrumental in keeping the club house ship shape and in good order. Shaun / ZS1RA is responsible for or public relations but you will see him involved in many other important functions of the club. In fact the entire committee rolls up their sleeves whenever required to ensure the necessary is always taken care of, regardless of their formal designations on the committee. I would like to thank all of the committee for their work and dedication to this fine club. And finally I would like to thank you, the members for supporting us and attending our events. Together we will ensure that the CTARC continues to be Cape Town’s finest radio club and I look forward to serving you in the coming year. 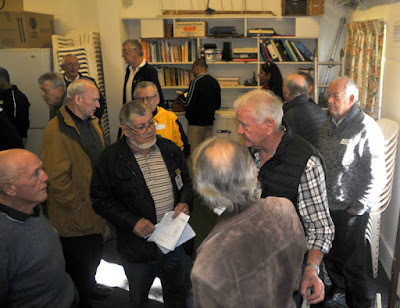 The 2015 Annual General Meeting of the Cape Town Amateur Radio Centre was held at 14h00 Saturday 25 July at the CTARC clubhouse in the Belvedere Community Centre, off Laidlaw Lane in Rondebosch. The meeting started at 14h00. 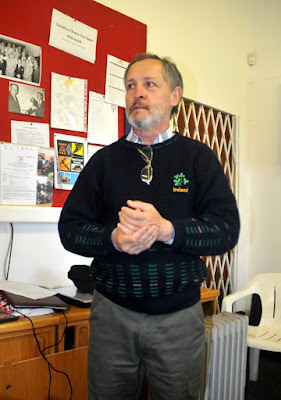 Our chairman for 2014 / 2015, Rob / ZS1SA welcomed the assembled throng. We held a brief moment of silence to remember and respect the passing on of former CTARC members Alan / ZS1AAX, Harold / ZS1VW and Paul / ZS1GE, all of whom went Silent Key this year.. 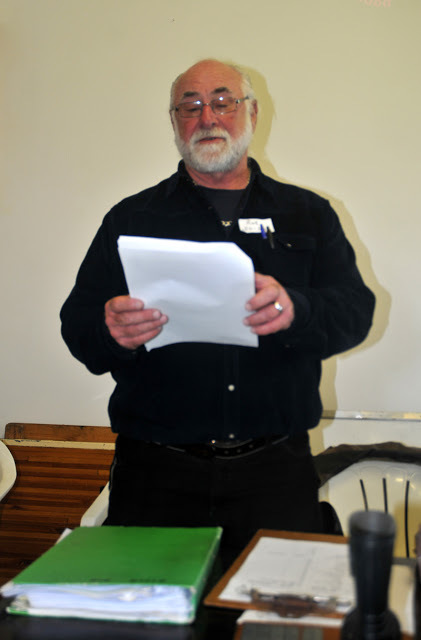 Rob then presented the minutes for 2014's AGM, which were confirmed by CTARC members. 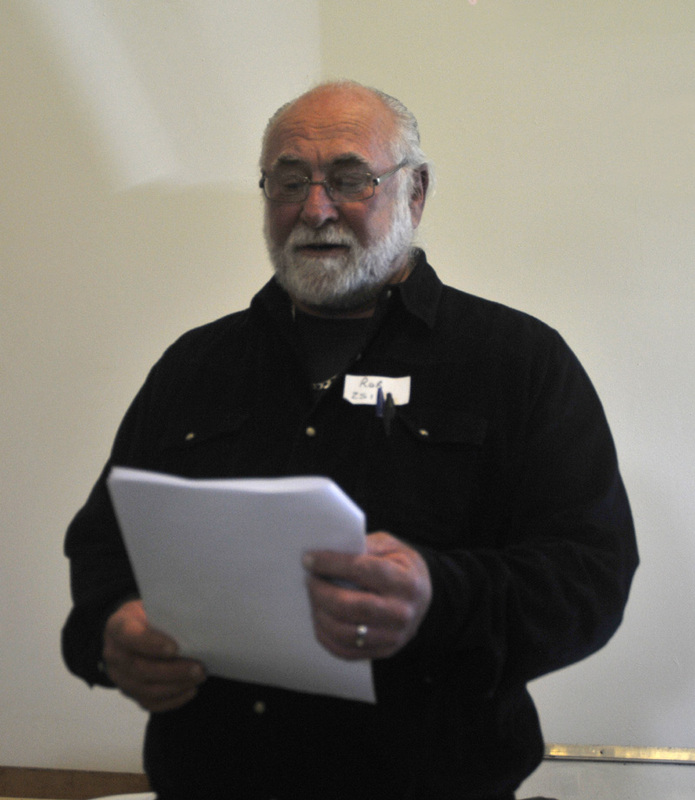 Rob read out the CTARC Chairman's report, which listed the activities of the past year and the future plans of our club in the new year. Some very exciting developments lie ahead. 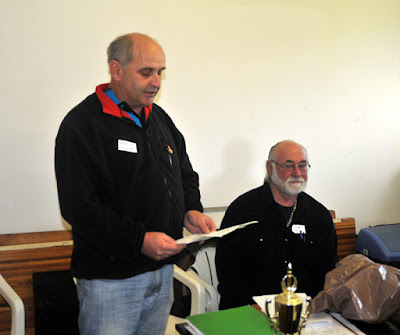 The CTARC's Treasurer, Danny / ZS1BL, then presented the CTARC Treasurer's report, which has been audited by Barry / ZS1FJ. There does not appear to have been an enormous change in our financial status since last year. One notable difference, though, has been the noticeable falling off of contributions to the Repeater Fund. 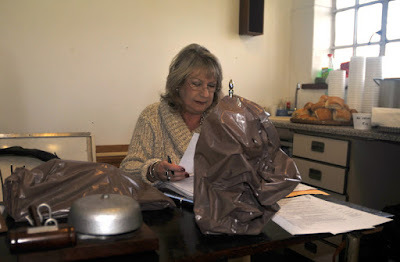 Our very efficient Secretary and Ragchew Editor, Anne, gave her report. 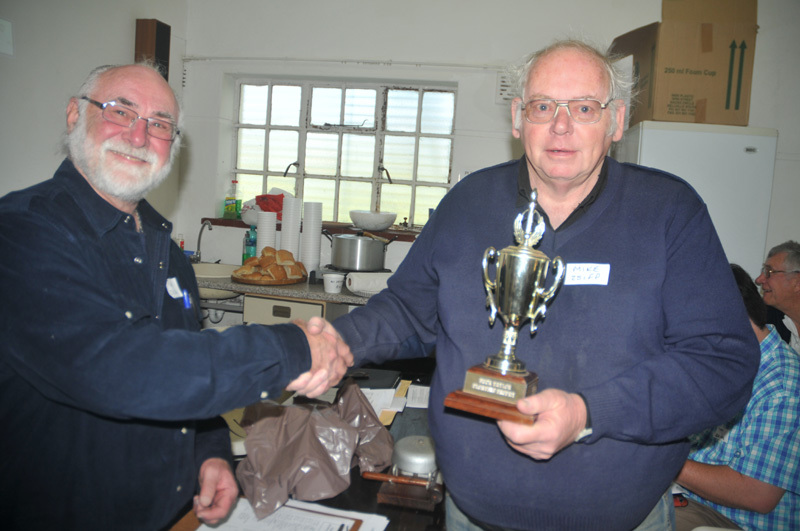 It was time for the CTARC Annual Awards to be handed out. First on the list went to Hylton / ZR1HPC, who was this year's recipient of the CTARC Wellie Award. This award is for most consistent attendance of meetings and activities; through sun, rain, wind, sleet, snow, dust, hail, earthquakes and other meteorological phenomena. Hylton made it to all the meetings! The annual Club Participation Award went to Elsabe. 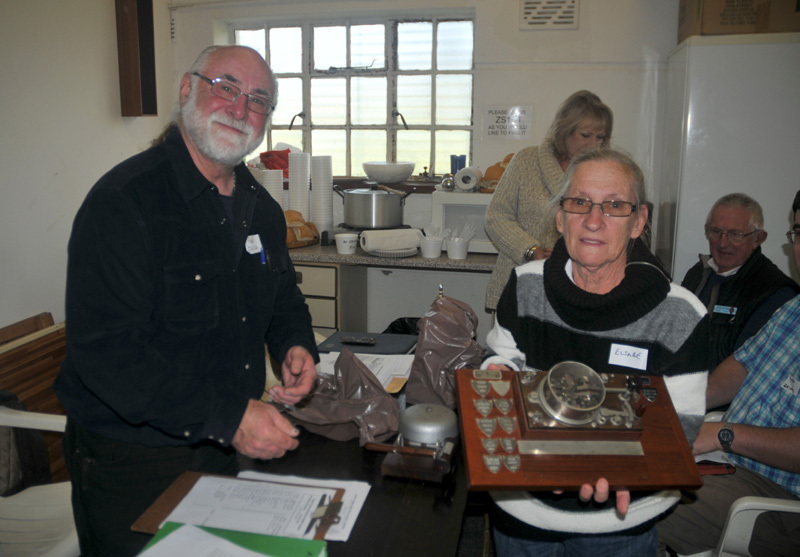 She is XYL to John / ZS1AGH (see below...) Elsabe has been steadfast in her involvement with the Centre's activities and a worthy recipient! 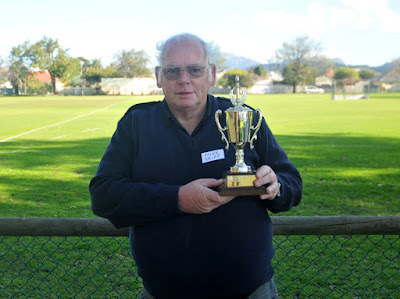 Mike / ZS1FP received the Buck Taylor Award for his regular assistance with the CTARC Monday Evening Nets, which Noel / ZS1FW has run successfully throughout this past year. The final award had been kept a deep secret throughout the planning stages. 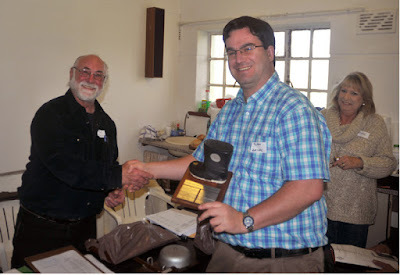 Rassie / ZS1YT was invited to make the presentation, which had to be coordinated with the SARL Head Office, in the form of the Jack Twine Award, which this year is awarded to John / ZS1AGH. Very well done, John! 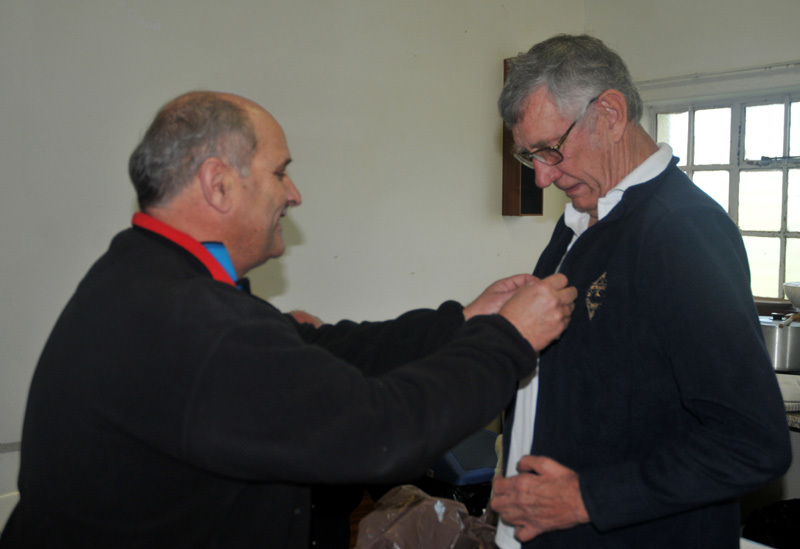 The prestigious badge gets pinned! John / ZS1AGH, is obviously very chuffed at receiving his J T Award! 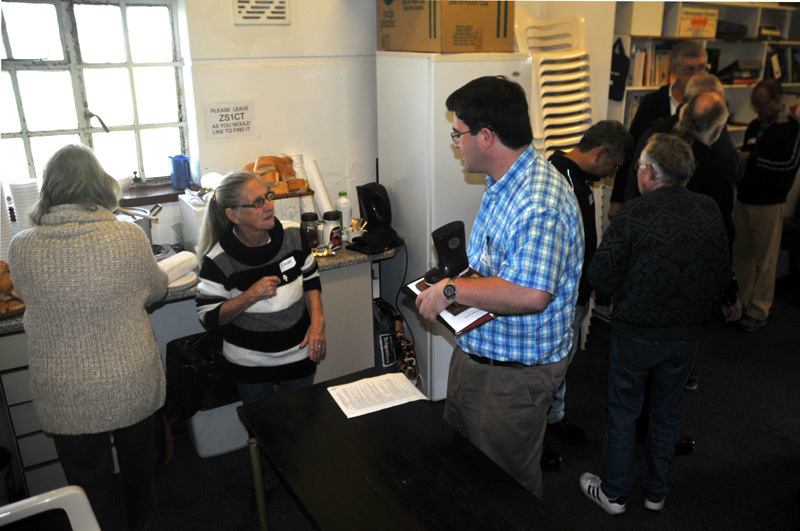 Next it was time for the election of the new CTARC chairman and committee. Paul / ZS1S took over temporary custodianship of the CTARC while nominations were made. (Up until last year, this task fell upon Alan / ZS1AAX who sadly went SK this year). 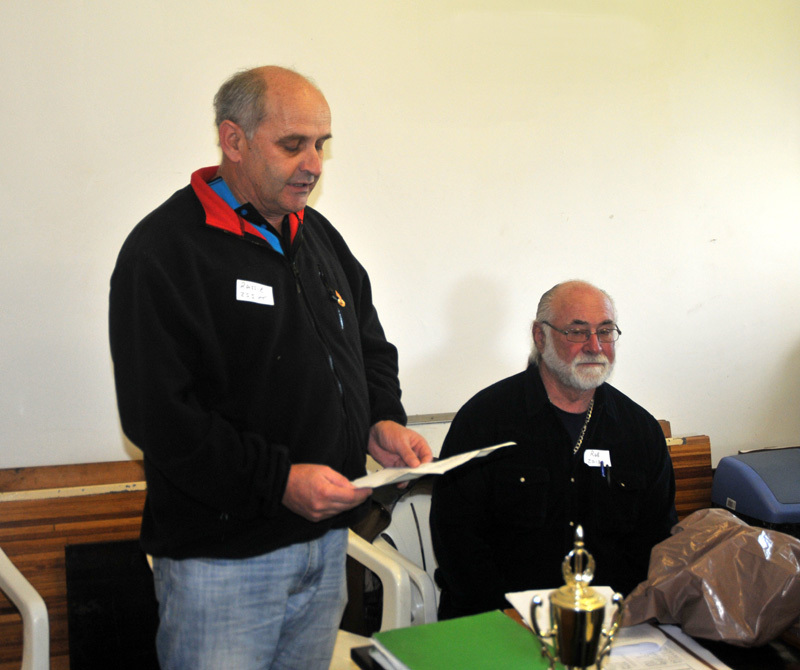 Rob / ZS1SA was unanimously re-elected as chairman of the CTARC for 2015 / 2016. The CTARC Committee was re-elected en bloc, with the welcome addition of Hylton / ZR1HPC who joins the Committee. Welcome, Hylton!. CTARC members and friends could then mingle, chat together and enjoy a bowl of soup and rolls kindly provided and served up by Anne and Elsabe. Noel / ZS1FW made an announcement that wew will be holding an antenna work party on Saturday 1 August at 10h00. 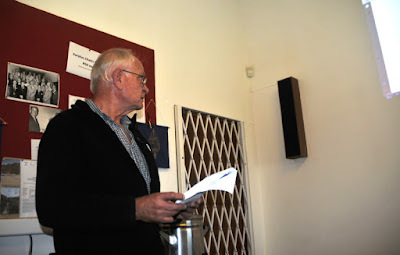 Also, we will be taking part in the Jamboree On The Air with the Bergvliet Scouts and Girl Guides later on this year. Further announcement will be made about this presently. 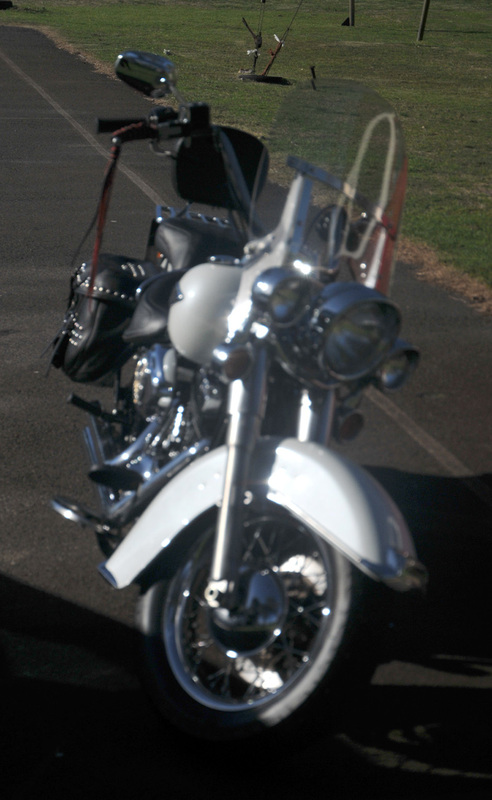 Some arrived at the meeting in style!! 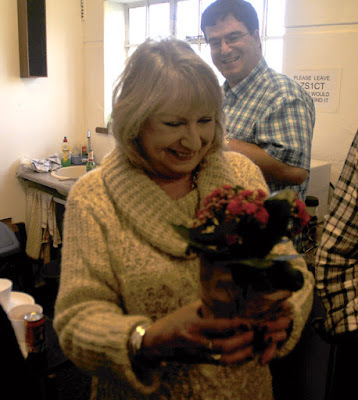 Anne was presented with some lovely flowers for her kind provision of all the catering! There will be a committee meeting for members of the CTARC committee, at 19h00 on Monday, 20 June, at the CTARC Clubhouse. Please diarise accordingly. This will be an important meeting because it takes place just prior to the CTARC AGM on Saturday 25 July. Please make every effort to attend. 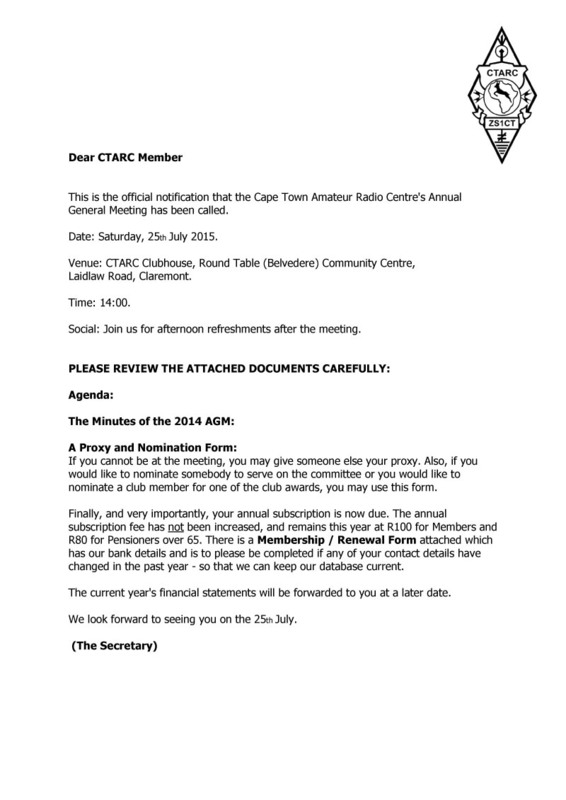 The minutes for the 2014 AGM of the Cape Town Amateur Radio Centre are exracted below. Download them as a PDF file [here]. 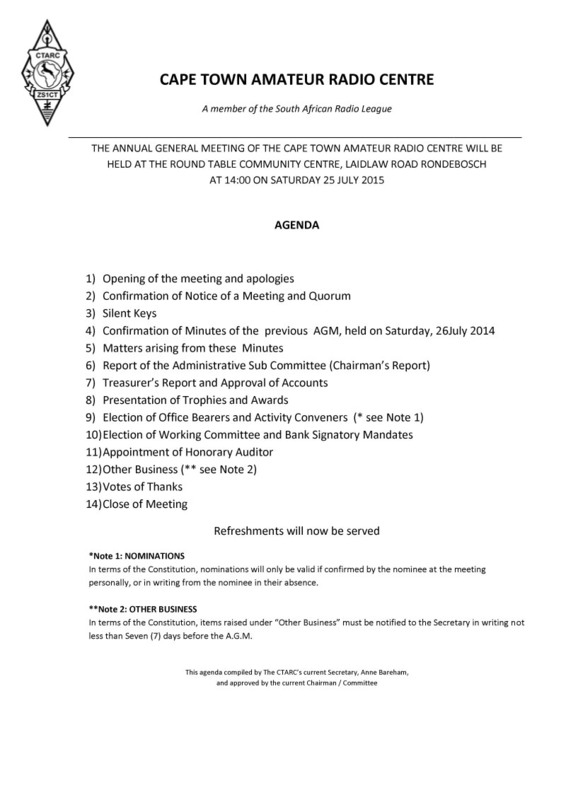 The Agenda for the forthcoming 2015 Annual General Meeting of the Cape Town Amateur Radio Centre, to be held on 25 July 2015 at 14h00, is extracted below. Download the complete document as a PDF [here]. 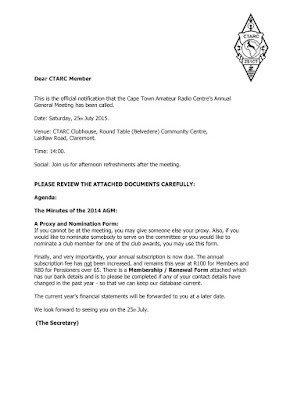 Formal notice of the forthcoming Annual General Meeting of the Cape Town Amateur Radio Centre is hereby given. 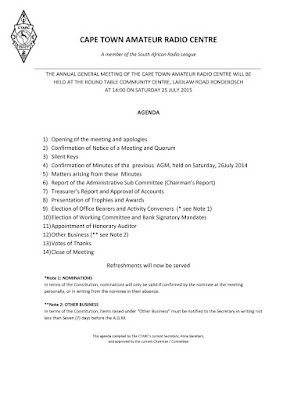 The AGM will take place at the CTARC Clubhouse at the Round table (Belvedere) Community Centre, off Laidlaw Lane in Rondebosch, at 14h00 on Saturday 25 July 2015. 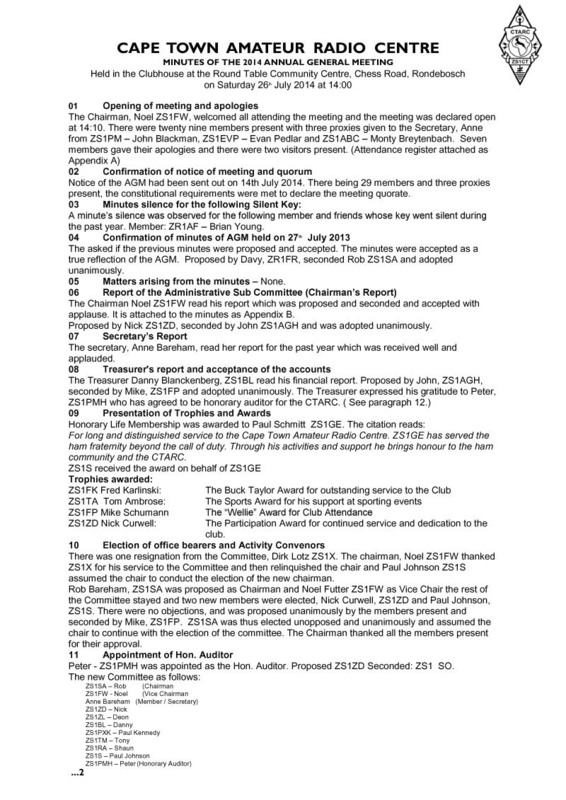 If you are not attending the AGM please send in your proxy should any issues arise at the meeting. No increase in subs for 2015 / 16. 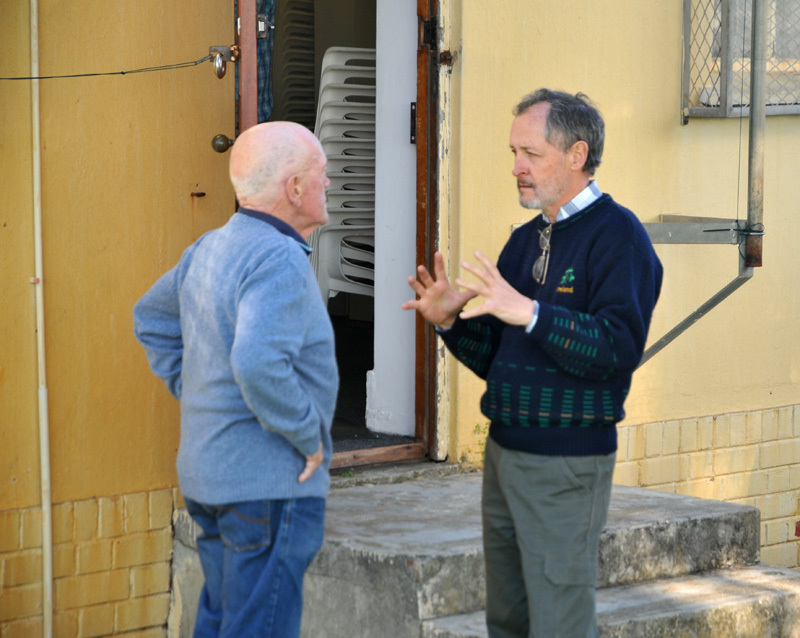 Annual subscription to the CTARC remains at R100 per Member, and R80 for Pensioners (over 65). This is a reminder to pay your 2015 / 2016 subs ASAP, and to please send me proof of payment. The Membership Application / Renewal Form can be downloaded as a PDF file [here]. We look forward to seeing you all at the AGM. Refreshments will be served as usual. 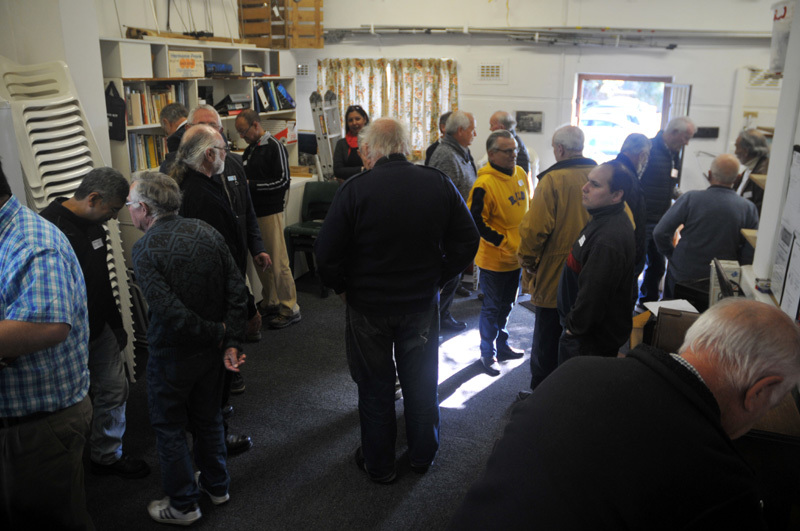 Advance notice is given that the Cape Town Amateur Radio Centre will hold its AGM on Saturday 25 July 2015 at 14h00, at the usual venue. This is an important meeting because the CTARC's new Chairman, Vice-Chairman and Committee are elected, financial reports are read out, various Awards accorded to deserving individuals and other important club-related business is dealt with. However, it is also, as ever, a great opportunity to meet with fellow radio hams and their partners (some not seen for an entire year! ), to chew the proverbial rag and to catch up on the news. As before, catering will be provided in the form of delicious eatables and quaffables (all for a very reasonable sum) to stay the pangs of hunger and thirst. We do look forward to your presence at this July meeting, it will be a bash of note! An extra July 2015 edition of the Cape Town Amateur Radio Centre's bi-monthly newsletter "Ragchew" has been published. This one is full of radio swops, so is well worth a read! 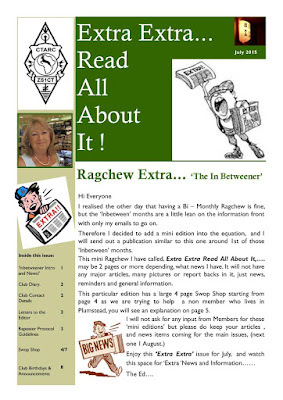 Grateful thanks to Anne, the editor of Ragchew, for all her hard work!